This trial studies how well ultra-high resolution optical coherence tomography works in detecting micrometer sized early stage pancreatic cancer in participants with pancreatic cancer. Ultra-high resolution optical coherence tomography may help to accurately identify pancreatic cancer in resected pancreatic specimens. 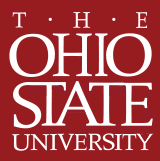 The Ohio State University (OSU) is a public research university located in Columbus, Ohio. It was founded in 1870 as a land-grant university and is currently the second largest university campus in the United States. Ohio State is currently ranked by U.S. News & World Report as the best public university in Ohio, among the top 150 universities in the world, among the top 60 universities in the United States, and among the top 20 public universities in the United States. Ohio State has been officially designated as the flagship institution of the state's public system of higher education by the newly centralized University System of Ohio.